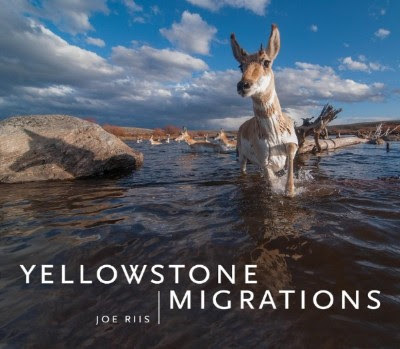 Wildlife photojournalist and National Geographic fellow Joe Riis, who has documented the migrations of pronghorn, mule deer, and elk in Wyoming for more than a decade, will give a multimedia presentation and book signing of his new book, Yellowstone Migrations. A reception begins at 5:30 pm with the program at 6:30 pm. Riis will be joined by ecologist & UC Berkeley Professor Arthur Middleton, a Yellowstone Migrations contributor and primary scientific collaborator. The event features a Q&A and discussion led by Jonathan Jarvis, former Director of the National Parks System under President Obama. He is currently Director of the Institute for People, Parks, and Biodiversity at UC Berkeley. A book signing will follow the presentation. This event is sponsored by the UC Berkeley College of Natural Resources and nonprofit publisher Braided River, and is hosted by the Brower Center.